It is amazing how discarded trash carelessly tossed into the sea can transform into little gems of color. Over years of tumbling through crashing waves and shifting sands, the sharp broken edges are weathered and worn down, and smoothed over with a frosty finish. Whether you call it sea glass or beach glass, they are highly sought after little prizes from the sea. Authentic sea glass is getting harder to find these days. Hopefully that is a sign that we are taking better care of our environment! 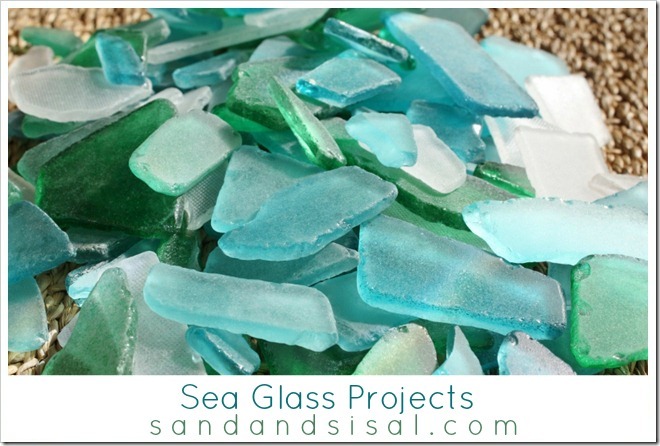 Manufactured sea glass is now easily available to use in creative home decor projects. 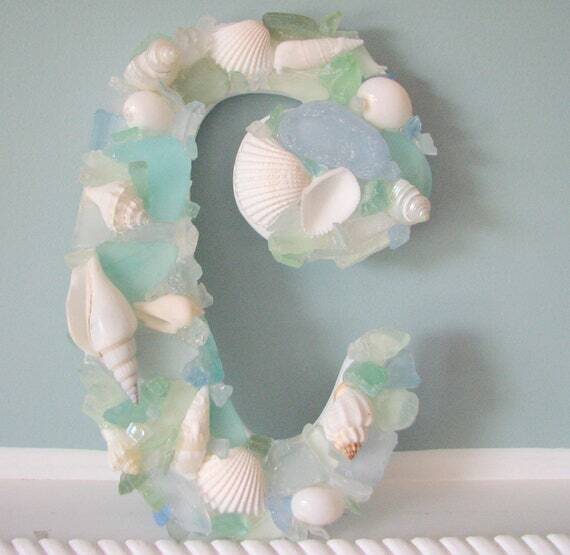 Let’s take a look at several Sea Glass Projects you can make at home! I had bought a bag of sea glass at Pier One not knowing what in the world I’d do with it. It was one of those impulse buys, where I just couldn’t resist. Ooooo, look at the pretty colors….. must… have… now. I emptied the bag into a mason jar and placed it on a shelf for awhile and one day decided to create a mosaic tray with it. It was a totally random project, because I’m not a huge mosaic fan, but it was rather easy to turned out quite pretty. It is one of the most popular decor projects of mine to this day. Who knew? 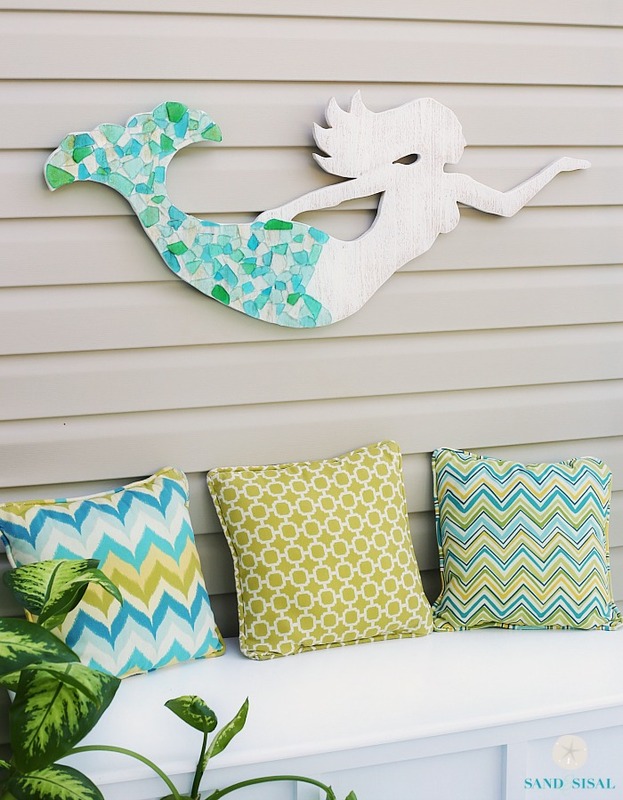 Another fun sea glass project I’ve done is the Sea Glass & Cedar Mermaid wall art. 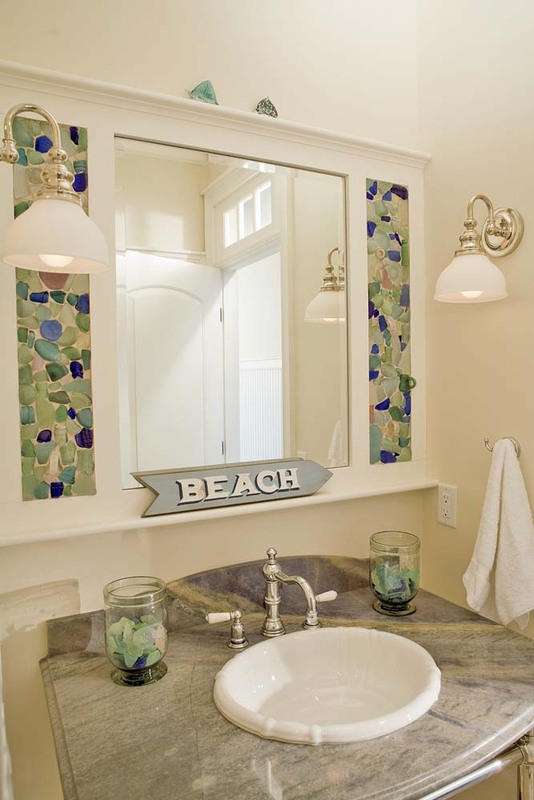 This mirror with sea glass detail featured in Yankee Magazine reminds me of my glass and stone tiled mirror frame. I was attracted to the beachy look of the tile but this frame is even better! You can take your collection of real and manufactured sea glass and create your own sea glass border or back splash. 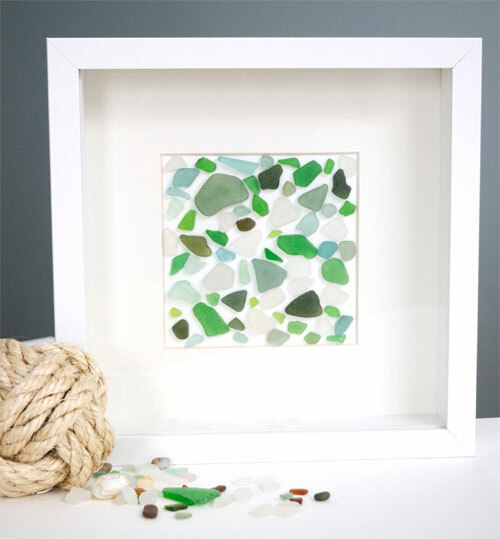 Creative in Chicago took her sea glass collection and glued it inside a matted frame to create lovely sea glass art. Russ Morgan is an amazing artist who took glass and wire and then suspended them to create a gorgeous light fixture that you just want to stare at forever. Stunning! I love the sea glass art pieces by Heidi Peters. 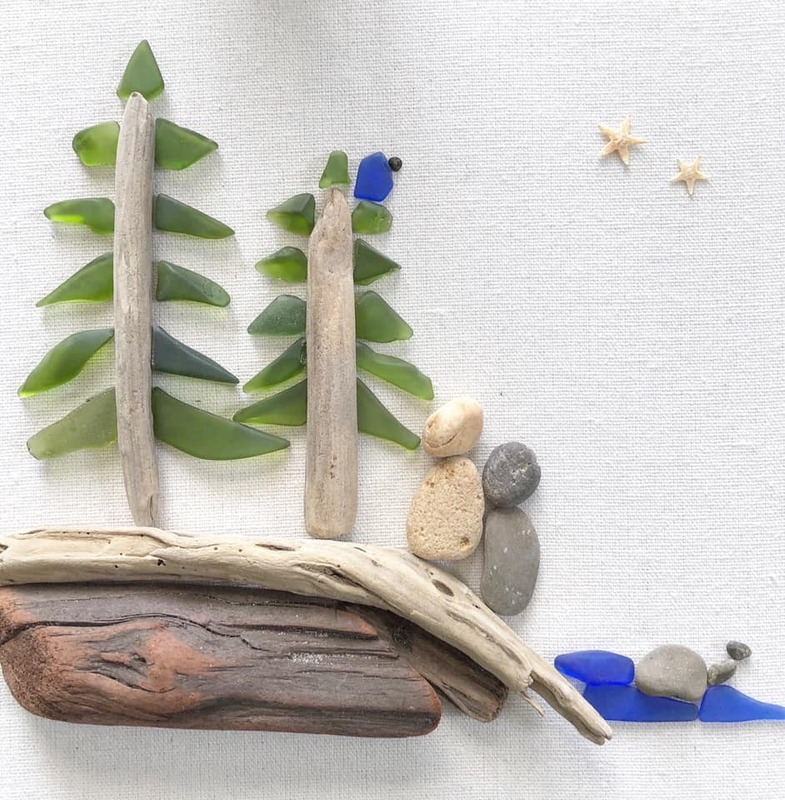 She uses sea glass and natural items that wash up along the California shoreline to create unique and whimsical beach art. 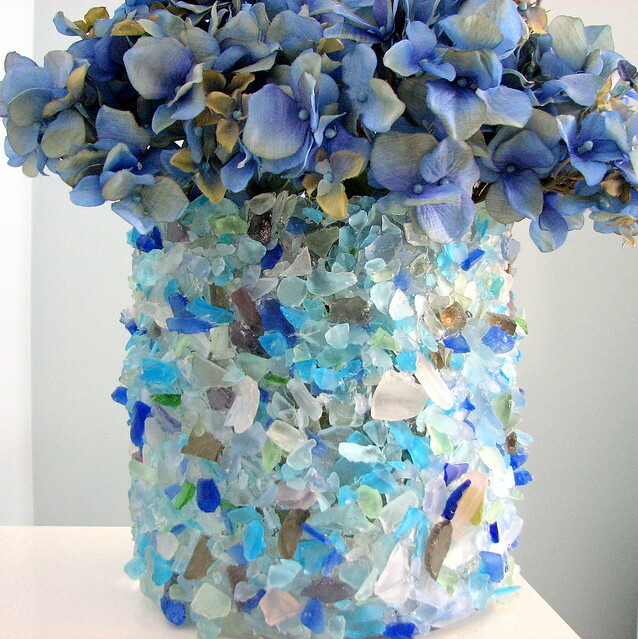 Beach Grass Cottage coated the outside of a vase with her sea glass collection to make a textural mosaic and quite the conversation piece! 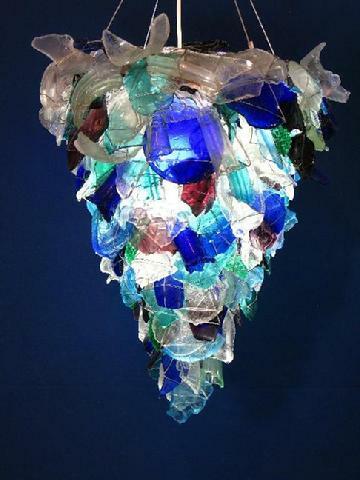 Which sea glass project do you think you would like to make? Great ideas Kim. I have a lot of sea glass, but it is in jars. I love these ideas! I just discovered a big bag of sea glass in my cabinet (from who knows where or when!! ), and have been trying to think of a fun project with it. Thanks for these great ideas!! These are absolutely beautiful! I love sea glass jewelry, and I’m definitely going to have to try my hand at doing some sea glass decorating! Thanks so much for this! I just made a tutorial on how to make sea glass with a rock tumbler and now I have a bunch more ideas on what to do with the sea glass I make! So pretty! 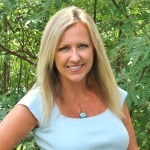 We just got back from vacation, where there seems to be NO sea glass on the beach – boo! So, Pier One… I love your tray and I love the light! Soooo pretty. I’m going to pin for later. Thank you! Your tray is still my favorite, but that light fixture is pretty amazing! Great post — got me longing for the sea! Love sea glass. I’ve never found any here in So. Cal. beaches though… glad to know Pier 1 has it. 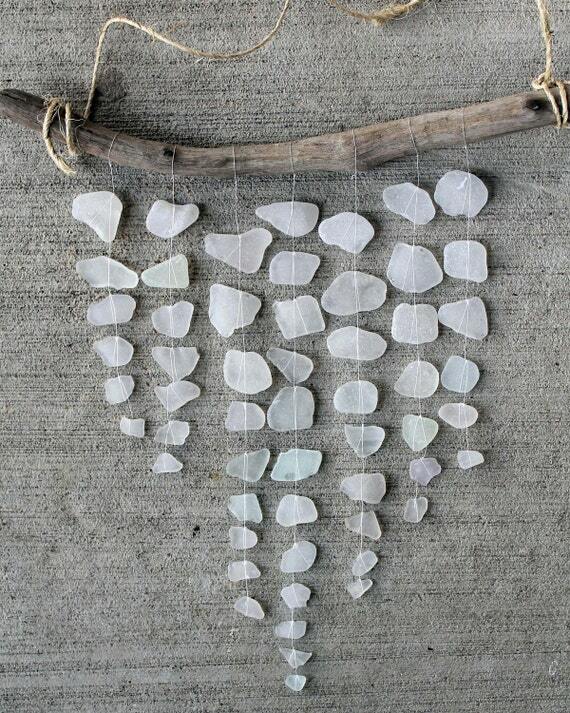 Love all these ideas for sea glass. I am inspired. Great post. I have a ton of real Jersey Shore sea glass that has been washing up in handsful since Super Storm Sandy. I make jewelry with most of it, but I REALLY like that tray idea. I have a craft show in a few weeks, may need to make one or 2 of those to sell. 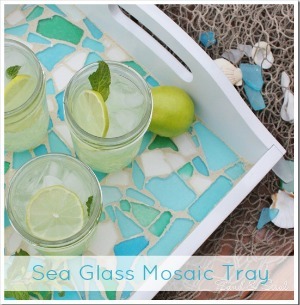 Beautiful sea glass projects…just love your tray Kim! Thank you, thank you, thank you. I now know how to salvage my hall bath. Moved into new house with very small sea green tiles covering the bathroom floor. (Just like a gas station restroom – ugh!) Thought I’d have to tear it out. I’ll now be able to leave the tile and redecorate with these ideas. AND most importantly, hopefully, love it! Wow some really amazing creations here. I love sea glass and I am always looking for new ways to use it. Thanks you so very much for this post. Very inspiring! I love these ideas but what do you use as adhesives? I have been trying to make the sea glass mobile but I can’t seem toty the fishing line or what looks to be like fishing line around the glass and make it stay. I’m starting to get really frustrated. lol any ideas or is there something else I should be using? thank you for any help you can give me. I’m not sure I can help you much. I didn’t maks that glass mobile, just featured it. I suspect that they didn’t actually use fishing line, but used a type of thread instead, judging from the white appearance vs. a clear line. You could also maybe try the thin, clear elastic cording that is used in jewelry making. It comes in a roll and can be found at Michaels. It might grip the glass better than the slick fishing line.